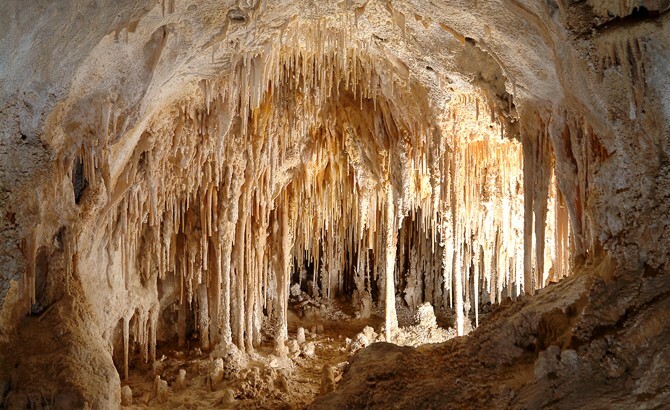 In the Guadalupe Mountains, NM, beneath the Chihuahuan Desert, lies one of the deepest, largest, and most ornate caverns ever found. It is the fifth largest chamber in North America. President Calvin Coolidge proclaimed Carlsbad Caverns a National Monument in 1924. Certainly Indian settlers discovered the caverns, but local Jim White is credited with exploring them in 1898, using a homemade wire ladder. Scientists have explored more than 30 miles of passageways of the main cavern of Carlsbad. 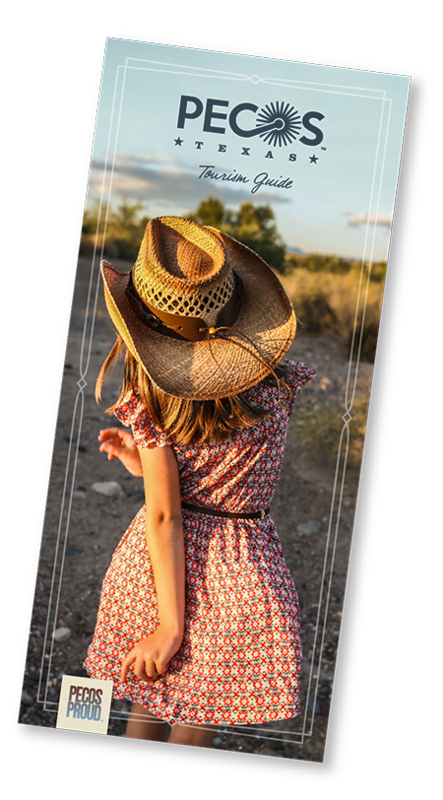 Visitors can tour three of the miles on paved trails by hiking in the natural entrance or taking an elevator, but in the beginning, you'd have come down in an old mining bucket! The park's most amazing sight is the one seen at the cave's mouth. More than a quarter-million Brazilian (Mexican) free-tailed bats summer in part of the cave, and around sunset they ascend from the entrance. Cavern & Visitor Center Hours (Now–June 13, 2015) 8 a.m.–7 p.m.
Natural entrance and elevators into cave open at 8:30 a.m.
Natural entrance (hike in) closes at 2 p.m.
Last elevator into the cave at 3:30 p.m.
Last elevator out of the cave at 4:30 p.m.
Natural entrance (hike in) closes at 3:30 p.m.
Last elevator into the cave at 5 p.m.
Last elevator out of the cave at 6:30 p.m.
*Tickets are good for three days.